The Orsay used to be a massive train station (complete with fancy hotel) that became obsolete back in the 1930’s (though the hotel remained open) and was scheduled for demolition back in the 1970’s. However, some bright person(s) in the French Museum Directorate had the idea to collect all of the art from the 1800’s displayed throughout the city and house it here (keeping the restaurant from the fancy hotel and adding a casual cafe to boot). Great idea! 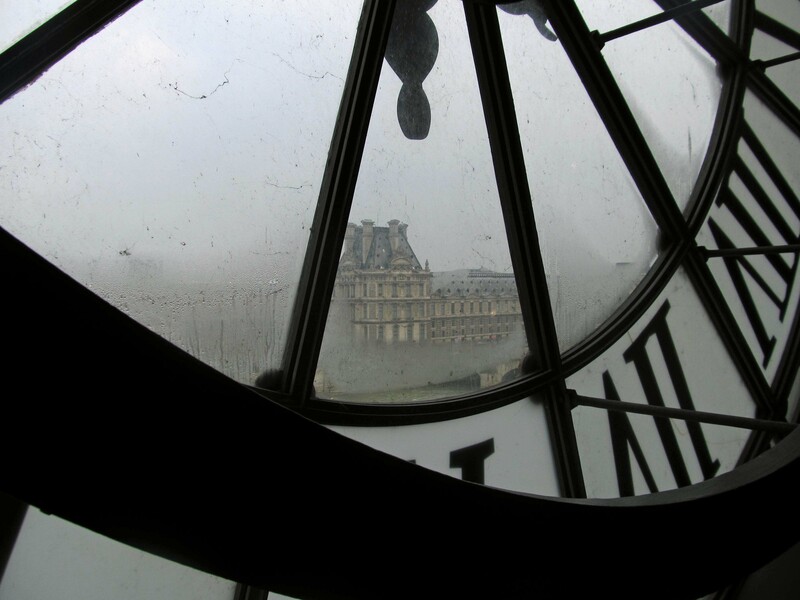 The Orsay opened as a museum in 1986, with the beautiful clock from the train station remaining as the focal point of the museum…. Not only is the museum beautiful, but it is well-arranged and the art is well-lit (often by natural light). This stands in stark contrast to some of the museums here in Florence (especially the Uffizi), where you have to squint to see the art in extremely low light. In addition to being wonderful to look at on its own, its art collection is the largest in the world focusing on impressionism and post-impressionism – my two favorite art periods! 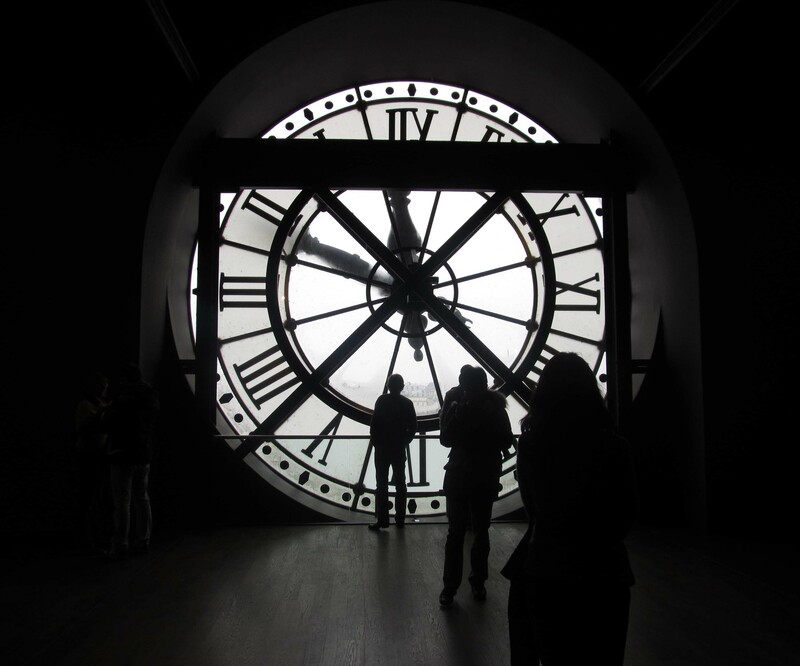 Here you can find masterpieces by many familiar names, including Monet, Manet, Degas, Renoir, Cézanne, Pissarro, Seurat, Gauguin, Rodin, Whistler and, of course, Van Gogh. 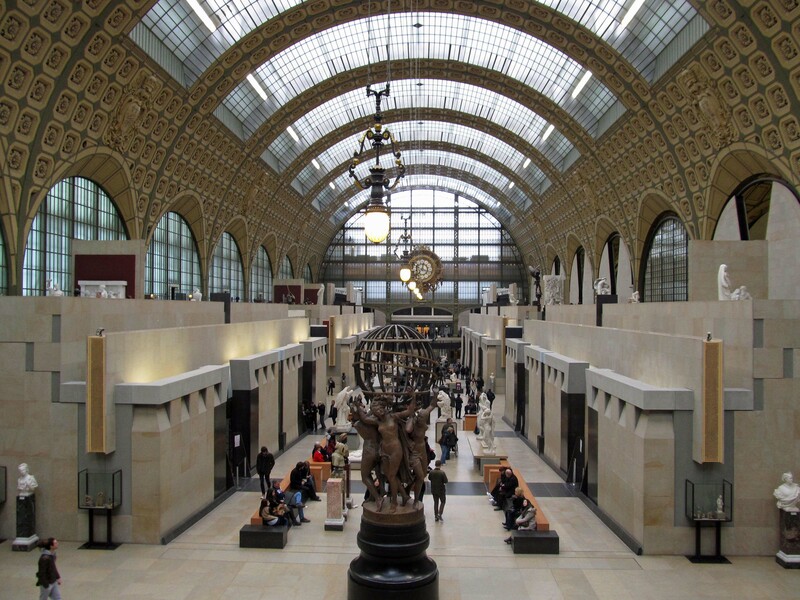 I can’t say enough about what a worthwhile experience a day at the Orsay is. As for the Van Gogh Museum in Amsterdam, it is what its name implies – the largest collection of Van Gogh paintings anywhere (he was Dutch after all). The actual museum, which is under renovation, is a modern marvel and not only houses Van Gogh, but some impressionist and post-impressionist paintings of his friends and contemporaries (for example, Gauguin, who lived with Van Gogh for a bit until Vincent chased him with a razor blade). While not everything is on display at the temporary location, the Hermitage Museum, we were pleasantly surprised at what a nice job they did basically recreating the Van Gogh section of the actual museum. We walked the entire museum very slowly (only partly because of my toe), and then just for good measure went back to re-admire some of our favorites (including works inspired by Japanese paintings). 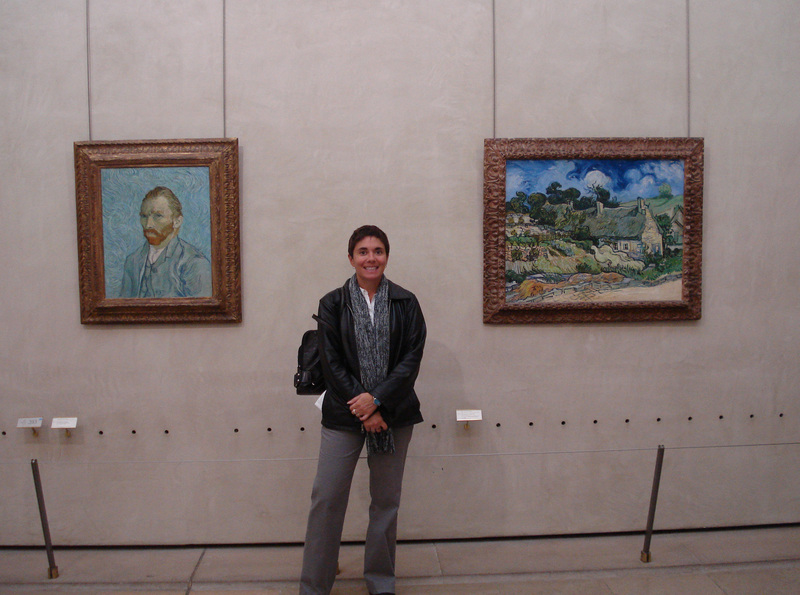 If you like Van Gogh, or think you might, I would definitely put this museum on any “must see” list! Thanks for coming along on the museum tours! Thank YOU for your kind words! I think Van Gogh returns to his actual museum next month. Van Gogh is also my favorite! My recent trip to Chicago included a trip to the Art Institute where I got to see several of his paintings. I will have to email you the pics! (I purchased 2 VG mugs from the Institute to remind me of my day spent there). Cool beans! I haven’t seen the ones there – love to see the pics. Thanks! And thanks for visiting my blog!